Arran whisky distillery is located in Lochranza on the Isle of Arran and was founded in 1994. It is the only distillery on the island and officially opened in 1995. Arran is located in the Island whisky region of Scotland, which is currently home to around 7 active distilleries. 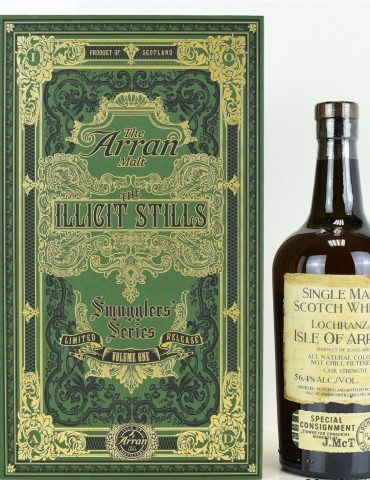 Arran used to be home to over a whopping 50 distilleries, many of them illegal at the time. Arran distillery is in partnership with the World Robert Burns Federation and even produce special edition Robert Burns single malt Arran Whisky. 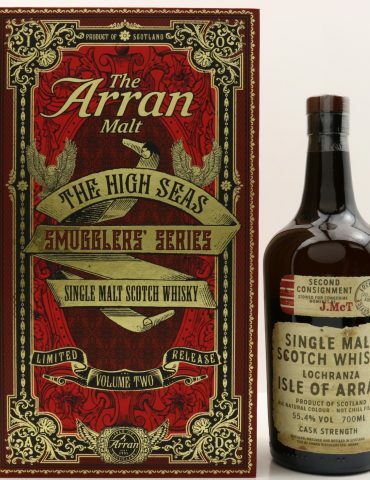 We currently have one rare bottle of Arran Whisky: The Arran Smugglers’ Series Volume II: The High Seas, which was released in October 2016. This rare bottle pays homage to the distillers who bypassed and outsmarted government officials and created whisky on the Island illegally. 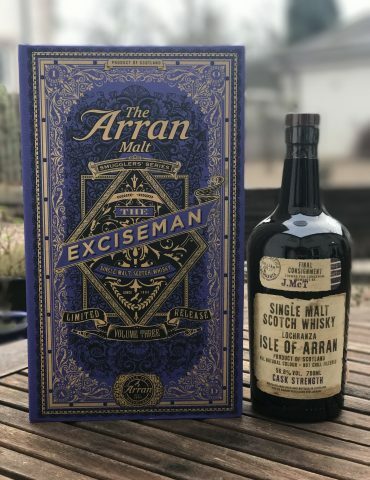 This Arran whisky is an eye-watering 55.4% vol. and is not for the faint-hearted.